Warning:Not a lifesaving device,children should use in shallow water under adult supervision. 1、It is close to human body shape ,and accords with ergonomic principles. 2、It is designed for swimming learners,and maintains the center of gravity always downward and muzzles upward, and the balance is excellent. 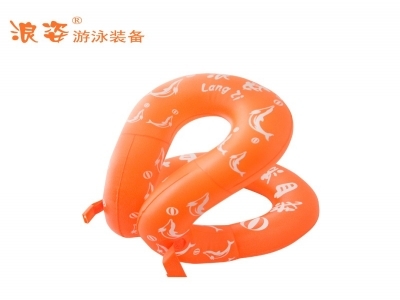 3、Adjustable buckle makes swimming ring close to body firmly. 5、Double-airbag , the innovation of traditional design, which is more protective. Using langzi product means you are serious about safety.